We're excited to share some new features coming your way for the Fall 2 term! Now you'll have access to Myers Library resources directly from within Blackboard, rather than needing to go to the MyOttawa portal. While some databases still require that you log in to the MyOttawa portal, now you'll have the links to the resources right where you do your learning. 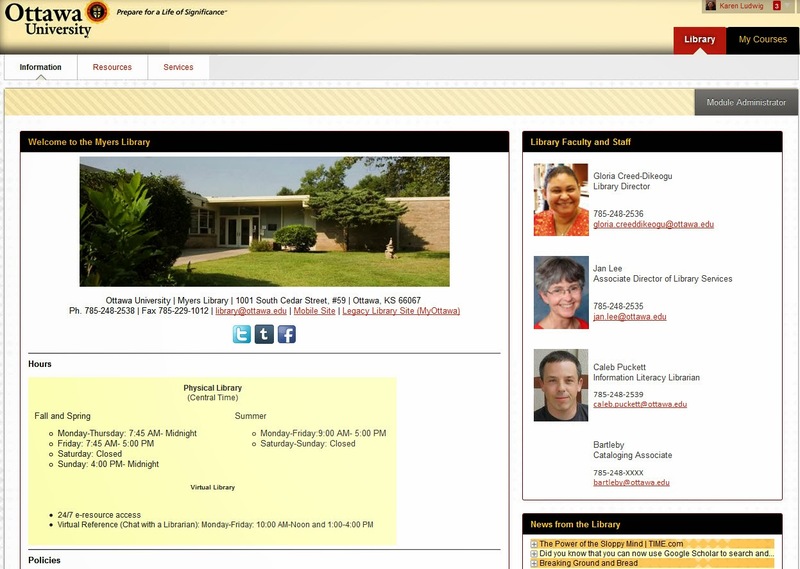 Screen shot of the Myers Library presence embedded within the Blackboard learning environment. Now you have the option to get an email or a push notification when there is activity in your course. Notifications are sent to your Ottawa University email account and/or via the Bb Mobile Learn app. Unless you change your settings, you will begin receiving the following notifications this weekend. You can opt-out of these notifications any time. Instructions about how to do this are in every email notification. 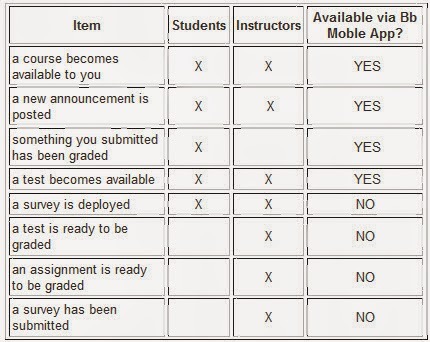 You can set your notifications to be the same for all courses or you can set them individually for each of your courses. The full scoop on how to manage your notifications for both email and the Bb Mobile Learn app is in this documentation.